I’m a big fan of the Lean Startup movement and love the underlying principle of testing, learning, and pivoting by experimenting with the most basic product prototypes imaginable – so-called Minimal Viable Products (MVP) – during the search for product-market fit. It helps companies avoid building stuff that customers don’t want. Yet, there is no underlying conceptual tool that accompanies this process. There is no practical tool that helps business people map, think through, discuss, test, and pivot their company’s value proposition in relationship to their customers’ needs. So I came up with the Value Proposition Designer together with Yves Pigneur and Alan Smith. The Value Proposition Designer is like a plug-in tool to the Business Model Canvas. It helps you design, test, and build your company’s Value Proposition to Customers in a more structured and thoughtful way, just like the Canvas assists you in the business model design process (I wrote more about how we came up with this new tool previously). The Canvas with its 9 building blocks focuses on the big picture. The Value Proposition Designer zooms in on two of those building blocks, the Value Proposition and the Customer Segment, so you can describe them in more detail and analyze the “fit” between them. Companies need to get both right, the “fit” and the business model, if they don’t want to go out of business, as I described in an earlier post on failure. The tools work best in combination. One does not replace the other. In this post I’ll explain the conceptual tool. In my next post I’ll outline how you can use it for testing in combination with the Customer Development process by Steve Blank and the Lean Start-up process by Eric Ries. The Value Proposition Designer will allow you to better describe the hypotheses underlying Value Propositions and Customers, it will prepare you for customer interviews, and it will guide you in the testing and pivoting. 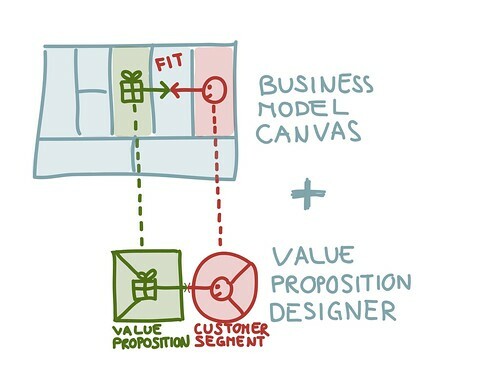 As mentioned above, the Value Proposition Designer is composed of two blocks from the Business Model Canvas, the Value Proposition and the corresponding Customer Segment you are targeting. The purpose of the tool is to help you sketch out both in more detail with a simple but powerful structure. Through this visualization you will have better strategic conversations and it will prepare you for testing both building blocks. The goal of the Value Proposition Designer is to assist you in designing great Value Propositions that match your Customer’s needs and jobs-to-be-done and helps them solve their problems. This is what the start-up scene calls product-market fit or problem-solution fit. 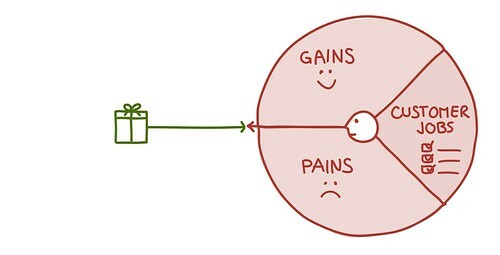 The Value Proposition designer helps you work towards this fit in a more systematic way. Now describe negative emotions, undesired costs and situations, and risks that your customer experiences or could experience before, during, and after getting the job done. Now describe the benefits your customer expects, desires or would be surprised by. This includes functional utility, social gains, positive emotions, and cost savings. Now that you sketched out a profile of your Customer, let’s tackle the Value Proposition. Again, I want you to look at three things. First, list all the products and services your value proposition is built around. Now lets outline how your products and services create value. First, describe how your products and services alleviate customer pains. How do they eliminate or reduce negative emotions, undesired costs and situations, and risks your customer experiences or could experience before, during, and after getting the job done? 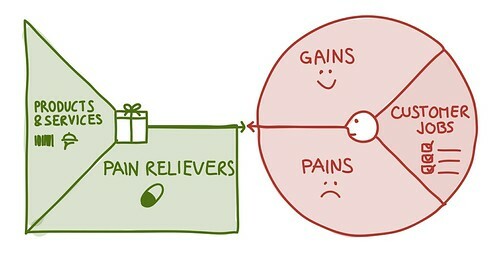 Finally, describe how your products and services create customer gains. How do they create benefits your customer expects, desires or would be surprised by, including functional utility, social gains, positive emotions, and cost savings? Most Value Propositions compete with others for the same Customer Segment. I like thinking of this as an “open slot” that will be filled by the company with the best fit. The visualization for this was an idea by Alan Smith, one of my co-founders, and the designer of Business Model Generation. 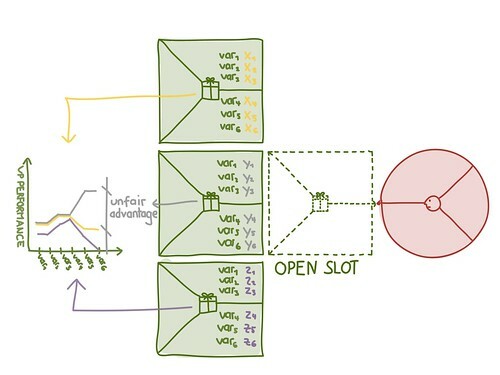 If you sketch out competing value propositions, you can easily compare them by mapping out the same variables (e.g. price, performance, risk, service quality, etc.) on a so-called strategy canvas. You can use the Value Proposition Designer like the Business Model Canvas: plot it as a poster, then stick it up on the wall, and then use sticky notes to start sketching. Contrary to the Canvas, the Value Proposition Designer poster and methodology is copyrighted. However, you are free to use it and earn money with it as an entrepreneur, consultant, or executive, as long as you are not a software company (the latter need to license it from us). 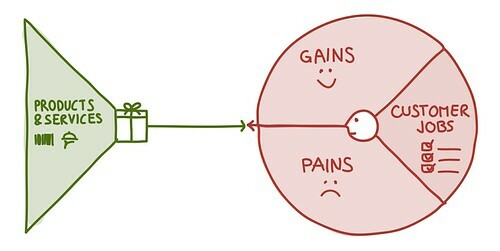 However, when you us it please reference and link to BusinessModelGeneration.com. 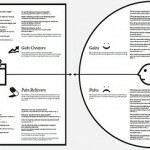 Here is downloadable draft poster version of the Value Proposition Designer. Using the Value Proposition Designer as a thinking and design tool is only a start. 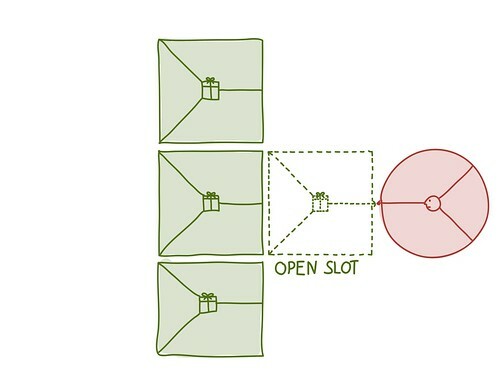 To get the best out of it you need to combine it with testing and pivoting. In my next blogpost I will show you how the Value Proposition Designer perfectly integrates with the Customer Development and Lean Startup Process. I will explain how it will help you substantially when you “get out of the building” as Steve Blank would say. The Business Model Theater – Can You Put on a Show?